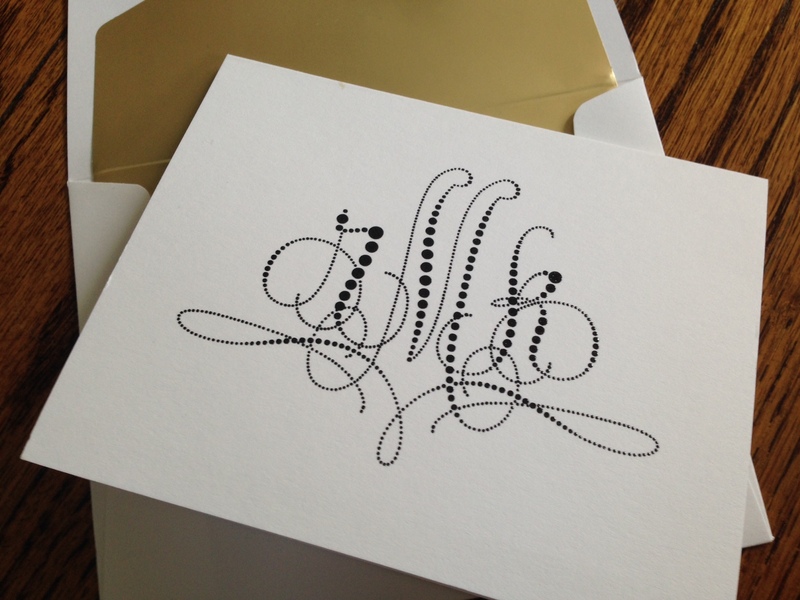 Harvest Card from Giftsin24 features a deeply embossed initial. 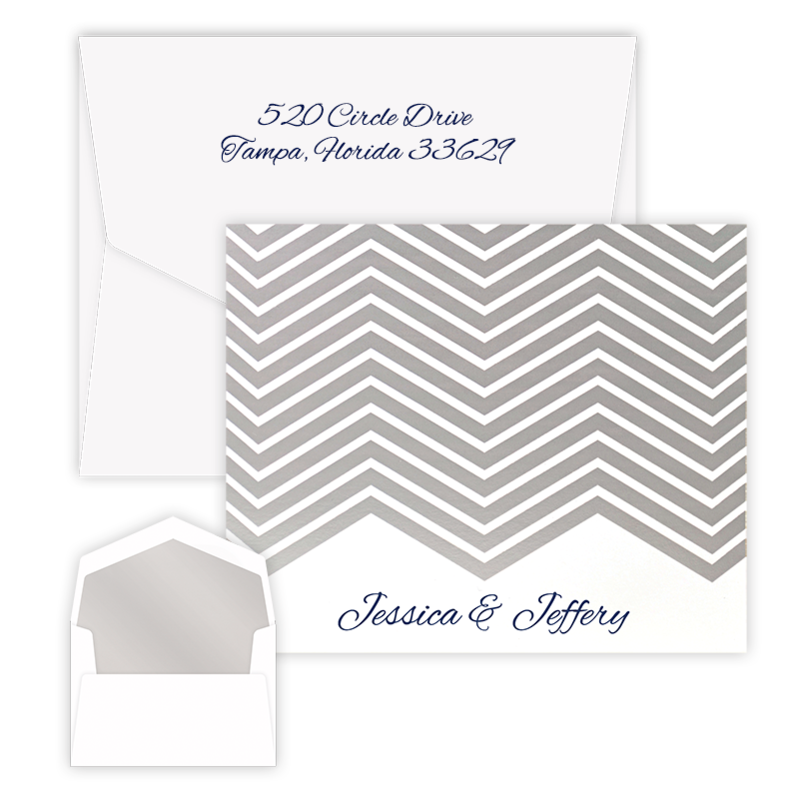 Choose the return address and lining on the envelope. 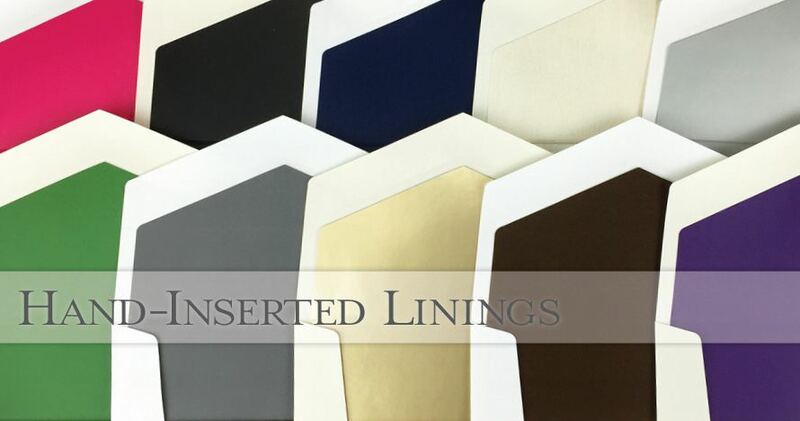 The new paper linings are wonderfully thick and rich. 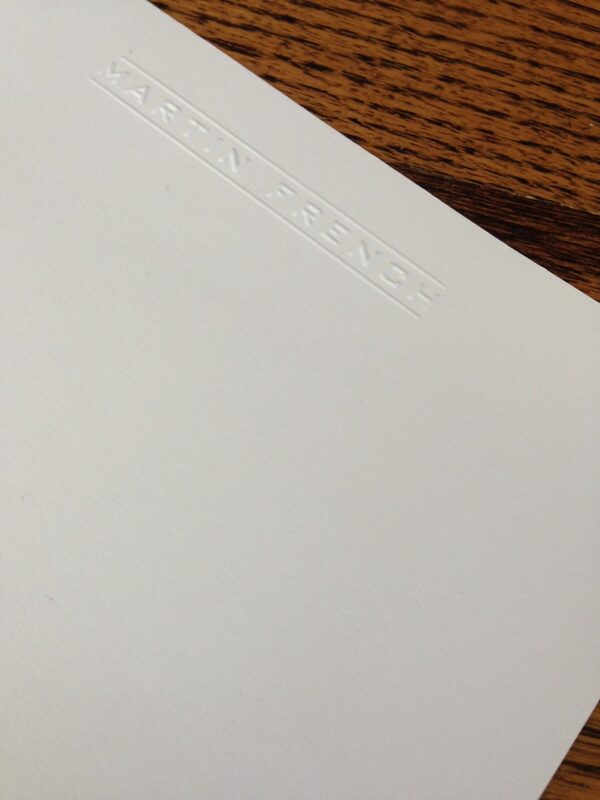 Embossing the envelope flap does not punch or show through the lining paper. 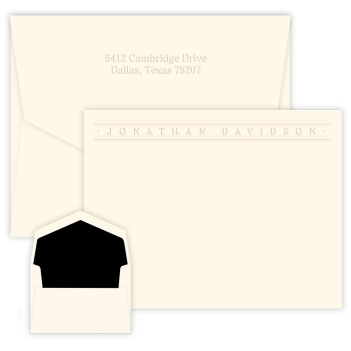 The result is a lush, textured return address on one side and a smooth, satiny feel on the other. We’re so excited to offer this new feature. Once you try it, we just know you will love it. 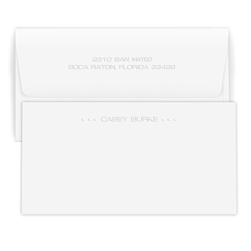 The embossed Banner Card comes with optional lined envelopes with embossed return address. 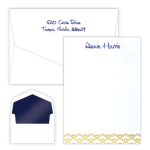 Order a gold foil, opal foil or silver foil envelope lining, for example, to give your embossed stationery set some shimmer and shine. A black or navy lining is classic. Whereas a red, purple or fuchsia lining really gets noticed. Mocha or slate are more subtle. 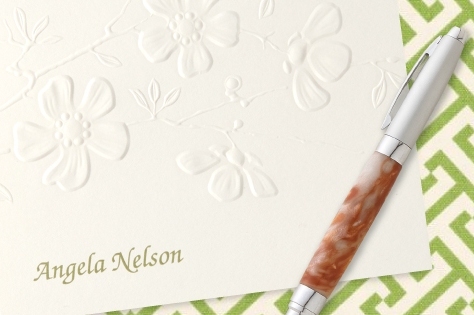 Whichever lining you choose, it will complement your new embossed stationery beautifully. 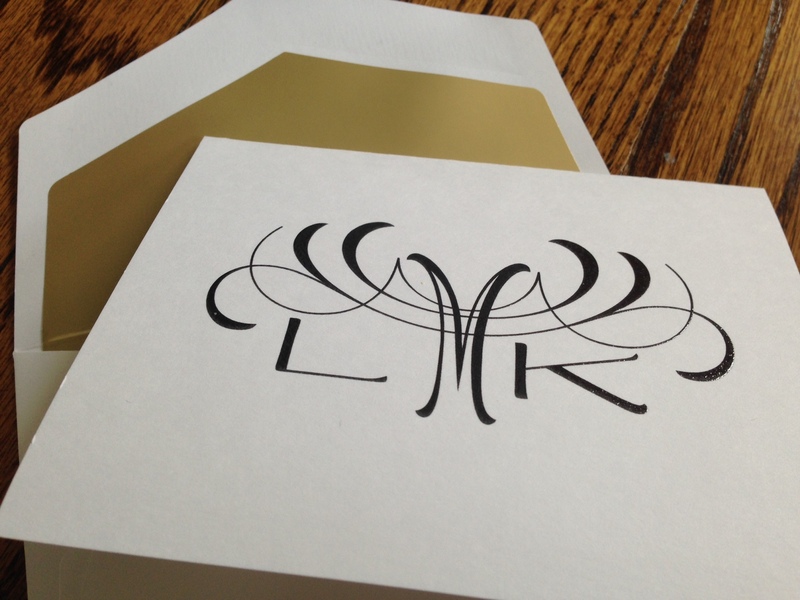 Looking for a luxurious gift? 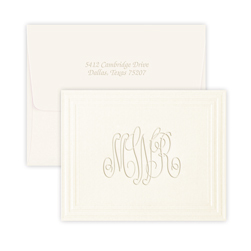 Our monogrammed cotton paper stationery fits the bill. Looking for a gift that will impress this Christmas? Maybe you want to buy a gift for a close friend. Or perhaps you want to thank an important client. You may simply want to indulge yourself. 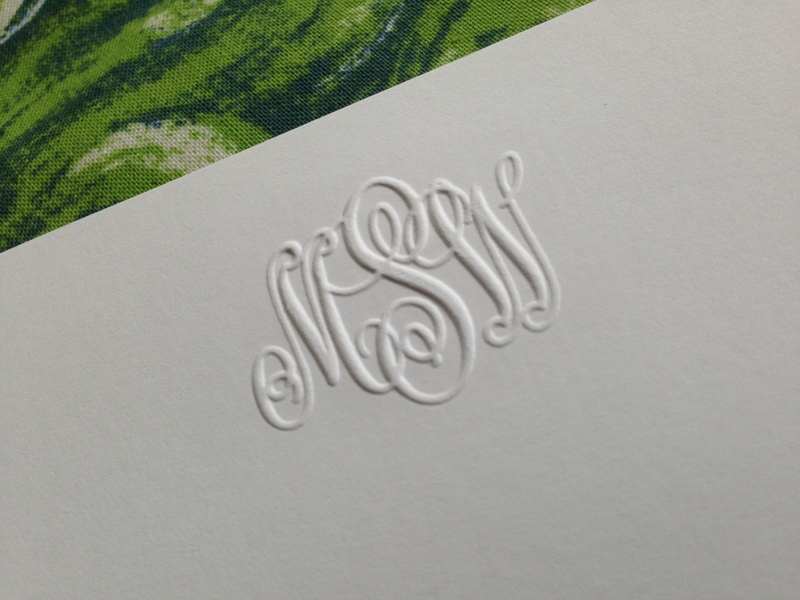 Our cotton paper stationery, embossed with a name or monogram, fits the bill. 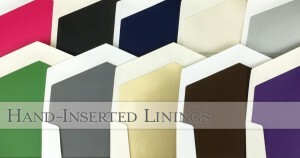 Furthermore, their simple elegance and smooth, sturdy construction yield tactile enjoyment for all your senses. 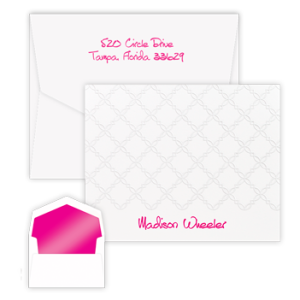 Remember, giftsin24 is the leading producer of embossed social stationery in the U.S.
Our cotton paper stationery is the same high quality paper you find at Crane’s, but at lower prices. 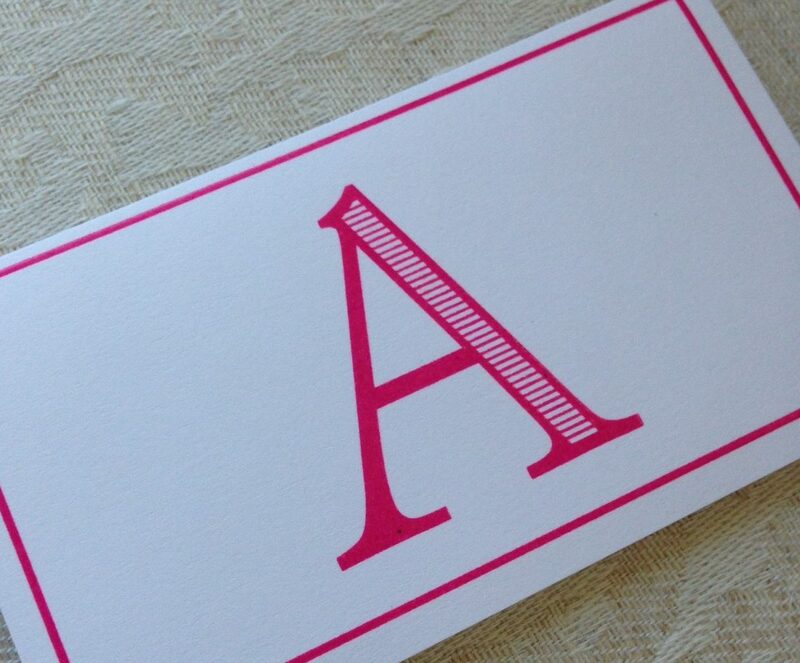 Avenue Card Command the attention of your colleagues, clients or business associates with the Avenue Card. 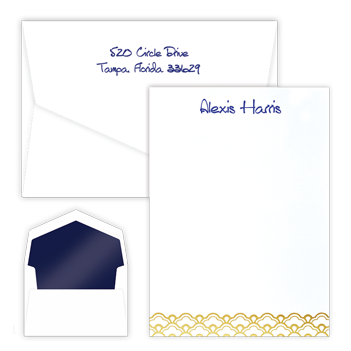 These beautifully embossed, single-panel cards come with 50 color-matched envelopes. Try your name on the top left line and your title below. Be sure to choose the cotton option. Banner Card Impressive & classic! Its thick, creamy paper feels smooth and substantial in hand, and the name confidently announces itself. The personalization appears in upper-case, crisp, embossed lettering.Be sure to choose the cotton option. Capital Note Simply charming! 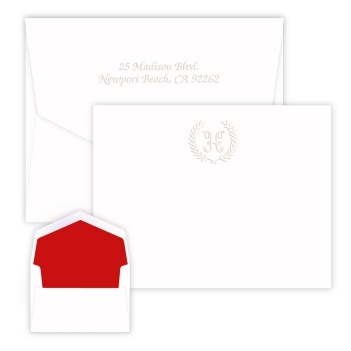 Make a warm first impression with the Capital Note. 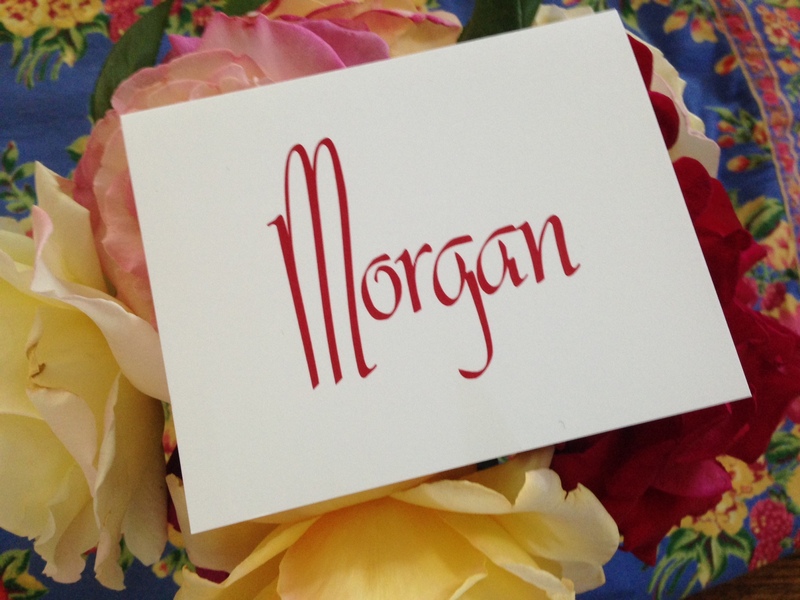 Your beautifully embossed, flowing initial appears above your name. A crisp border frames the whole arrangement. 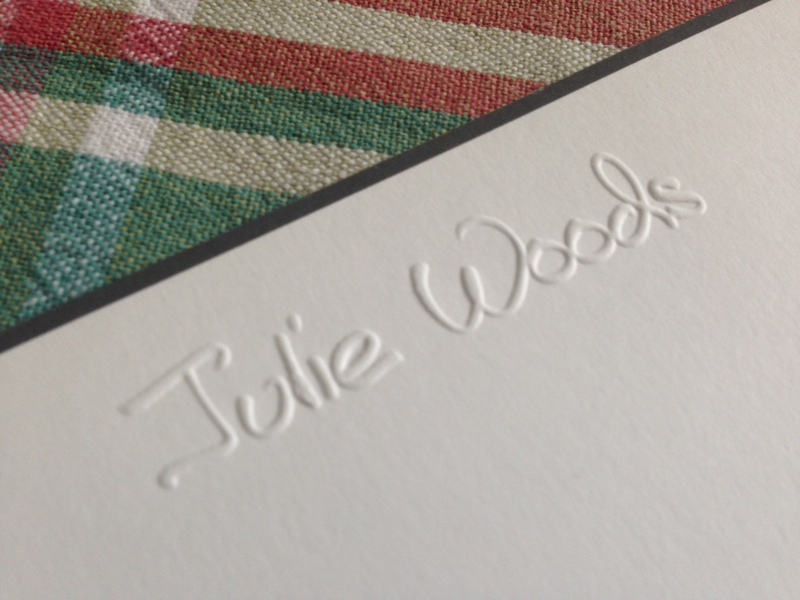 The quality of the embossing and detailed design make this folded note special. 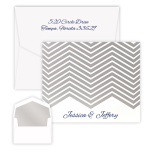 Your choice of white or ivory paper. Be sure to choose the cotton option. Firenze Monogram Note European flair meets American ingenuity in this elegantly designed folded note. 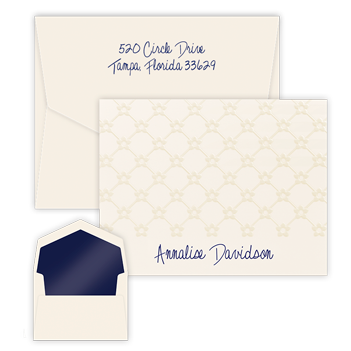 Not your average script style, the Firenze Monogram Note adds a new twist to a traditional look. Be sure to choose the cotton option. Chesapeake Boulevard Card The oversized dimensions of our Chesapeake line meet the elegance and sophistication of our cotton paper! 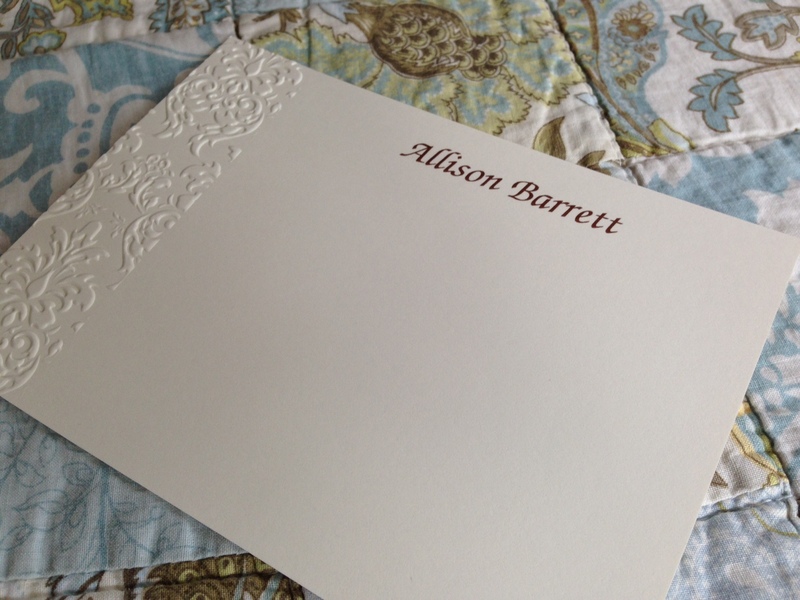 Enjoy a taste of luxury with these beautifully embossed single-panel cards. And don’t worry, our Chesapeake stationery takes just a first-class stamp. Be sure to choose the cotton option.